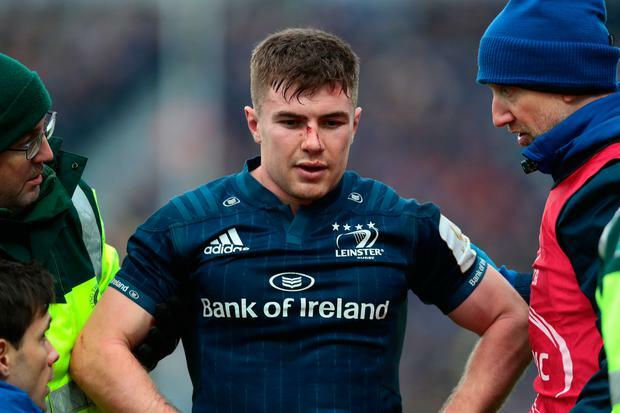 Luke McGrath will miss the start of the Six Nations due to a medial collateral ligament (MCL) strain. The well-founded fears the scrum-half could miss the rest of the season have been allayed. McGrath could even make it back within six weeks, in time for the play-off part of the season should rehabilitation go to plan. It leaves Leinster vulnerable at nine where Jamison Gibson-Park is the only fit senior scrum-half with Hugh O'Sullivan, just 20, in line for a place on the bench against Wasps on Sunday. The addition of McGrath to the doubts over Kieran Marmion (ankle) and John Cooney (back) means that Connacht's Caolin Blade could be called up to Ireland's squad for the Six Nations, which is scheduled to be announced tomorrow.